Happy Sky Watching, take care! 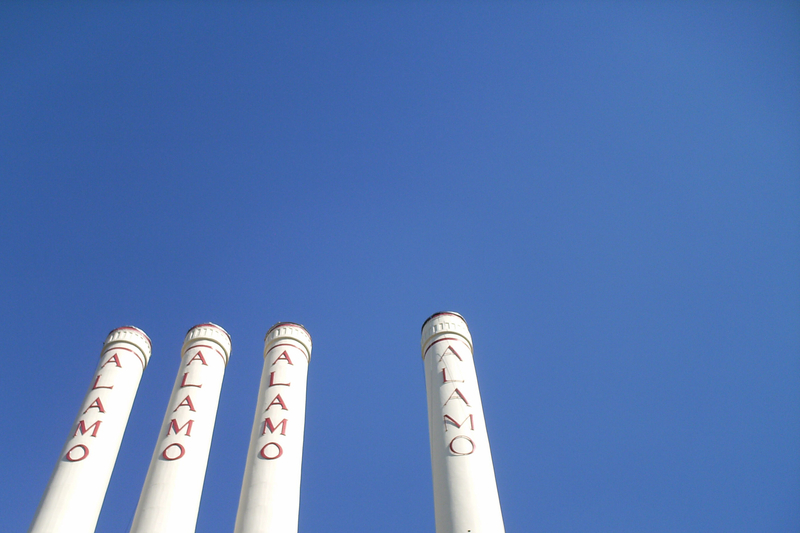 The four smoke stacks are a great way to break up the plain-ness of the pure blue sky. I like the angle you chose to take this shot from. Excellent photo. Love the color and the contrast with the blue, clear sky. Have a great weekend. Remember the Alamo. 🙂 Those are some beautifully blue skies! WOW! Wish we had some of those here about right now. It’s just plain cold!! !